Nine years have passed since the promulgation of the great Motu Proprio of Pope Benedict XVI, already included in the most recent edition of Denzinger and destined to be seen as one of the most important papal interventions of the modern period. Wherever the Motu Proprio has been received with obedience and put into practice by faithful sons of the Church, the fruits have been marvelous, well-nigh miraculous. Through learning and celebrating the usus antiquior, the priesthood of countless priests has been renewed, deepened, focused, enriched, re-connected with the fundamental spirituality of the Roman Catholic Church. This legislative act has provided a timely remedy for the demoralization of the clergy, the desacralization of the liturgy, and the deracination of the Christian people. Thus for its ambitiousness. The same period has brought to light ambiguities and tensions in the Motu Proprio that future generations will have to resolve. For example, how exactly can one have two forms of the very same rite, when historically, and logically, there ought to be only one? If the shift to a reformed liturgy did not create a break within the Roman tradition, how then could it have been possible later on to establish, on equal canonical footing, two versions of the same rite? They are said to be two “uses” of the same rite, and yet there is far less difference between the Dominican, Carmelite, and old Roman uses (to take a few examples), than there is between the old Roman and the new Roman. The Motu Proprio did not attempt to solve these difficulties, but took a pragmatic approach, content to abide with perplexity. Thus for its modesty. Accept that Catholics should be free to worship the Lord by participating either in an OF Mass or in an EF Mass. 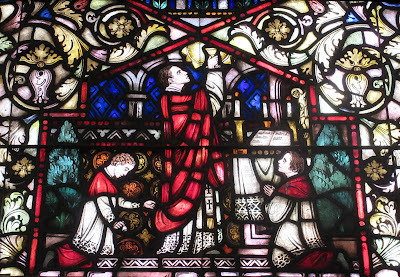 Neither the OF nor the EF needs to be present in each parish or chapel, and it may not be possible immediately to bring in the EF wherever there is a demand for it, but such availability ought to be a goal towards which pastors earnestly work so that the faithful are well provided for within the confines of a given geographical area. This is the bottom line of Summorum Pontificum as a practical document. If there are many OF Masses but no EF Mass within a reasonably conceived geographical sphere, then one or more clergy are failing to meet the spiritual needs and rights of the faithful in their care. They may not necessarily want to meet those needs and rights, but meet them they must, if they are to be good stewards of the mysteries, loyal sons of the Church, and true shepherds of the flock. The account they must give of their lives before the Eternal Judge will include an accounting on this point, too. Pope Benedict XVI speaks of the Novus Ordo Missae as “ordinary expression of the lex orandi” (Art. 1) and says, in the letter to the bishops, that “the new Missal will certainly remain the ordinary Form of the Roman Rite, not only on account of the juridical norms, but also because of the actual situation of the communities of the faithful.” Curiously, some people take Pope Benedict XVI’s language to be prescriptive when it is obviously descriptive. He is describing a state of affairs, not prescribing how things ought to be. How they ought to be is up to the Holy Spirit and the Catholic faithful; it is not the stroke of a papal pen that will determine whether or not Catholics make the usus antiquior their liturgical norm. The Motu Proprio unquestionably smoothed the path by which an increasing number of Catholics are, in fact, taking the usus antiquior as their normative liturgy, but it neither established nor disestablished anything. It noted that Catholics would, in the majority of cases, be attending the Novus Ordo, but it also pointed out that the old rite had never been abrogated and should be available to all who seek it. This established the necessary foundation for a potentially limitless expansion of the usus antiquior, to the point that it could become once again the norm that it had been for four centuries (and, in essence, for a millennium longer than that). By its own internal logic, the Motu Proprio could not have been saying that the Novus Ordo must remain the norm; rather, it is currently the norm, and yet there is no inherent reason why it must remain so for any particular parish, diocese, religious community, or even the universal Church. This is why we are seeing more and more dedicated parishes created for it, more religious communities adopting it and flourishing under its beneficent influence. At a time when religious practice in the West is precipitously declining, we see the springing up of oases of zealous faith (including abundant family life) wherever the traditional liturgy is securely in place. In the prudential order, Benedict XVI needed to reassure the faithful that no one will be forced to switch over from the Ordinary Form to the Extraordinary Form. But he made it likewise clear that if the clergy or the faithful wish to embrace the usus antiquior, then by all means they are free to do so, without molestation. They have to accept that the Missal of Paul VI is valid. They do not have to take it as normative for their own public worship (otherwise the exclusively EF parishes and religious communities would not be allowed to exist). They do not have to attend it any particular number of times per year. They do not have to believe it is the better or best form of the Roman Rite. They are perfectly free to prefer the older form of the Mass, or of the Divine Office, sacramental rites, and blessings. 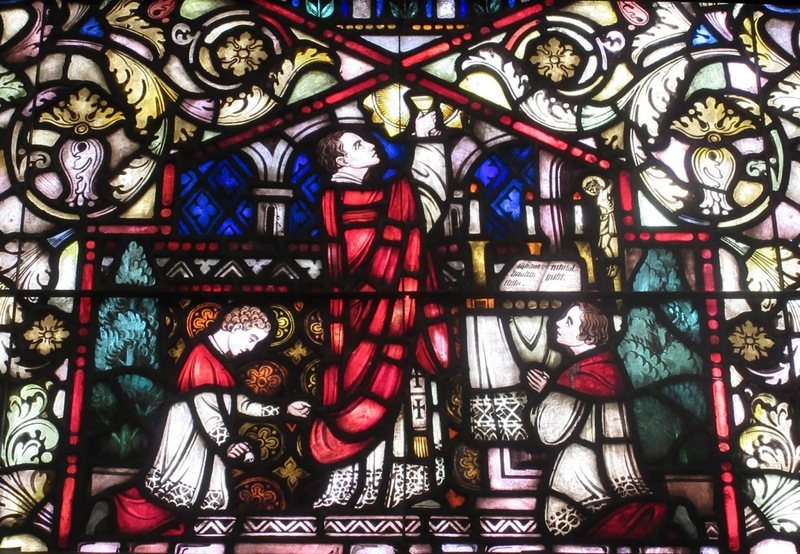 They may use the older form exclusively (provided they are fulfilling their Mass attendance obligations as Catholics); they are free to think it a superior liturgical rite, as far as the qualities proper to liturgy are concerned; they may believe that churchmen, even at the top tiers, made a tremendous mistake in pushing it aside. Such is the radical freedom for tradition that Pope Benedict XVI injected into the life of the Church. 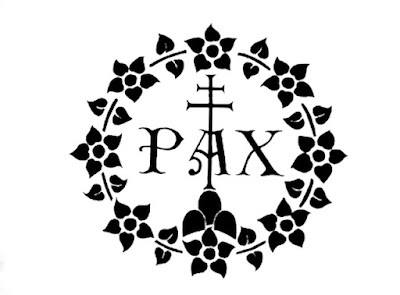 There is nothing in the law of the Church, whether Canon Law or Summorum Pontificum, that asks anything more than the three points required of all Catholics, as stated above. Hence, if anyone starts to demand more of a Catholic, or concedes him less, they are acting in their own person, and not on behalf of the Church; they are speaking of themselves and not of God (cf. John 8:44); they are acting as vigilantes who have given themselves the job of policing and protecting the mainstream Church from the “dangers” and “errors” and “bad attitudes” of tradition-loving Catholics. It is hard to see how such threatening behavior can possibly be reconciled with fraternal charity, respect for ecclesiastical tradition, observance of canon law, or respect for the basic rights of the faithful. Whatever its ambiguities or limitations may be, Summorum Pontificum remains the ultimate challenge to the modernist and progressivist tendency to treat traditionally-minded Catholics as if they were so much rubbish waiting to be picked up, carried off, and buried in the landfill, along with their missals, chasubles, copes, birettas, maniples, aspergiliums, and other Romish paraphernalia. Traditional Catholics do not deserve the ostracism, the contempt, or the double standard to which they are so frequently subjected. Liberal and conservative Catholics who do not recognize and repent of this spiritual problem in their own lives will have sins to answer for, even as traditional Catholics may sin by reacting to provocations and persecutions with disproportionate anger, excessive sadness, or despair. Pope Benedict XVI desired to be a peacemaker and to encourage precisely those behaviors of generosity that would eventually heal the rifts, even as they paved the way to the restoration of liturgical tradition. It remains a scandal that so many professed “good Catholics” (clergy included) continue to ignore the legal demands of Summorum Pontificum and the real spiritual needs of many faithful children of the Church in every land. Those of us who are on the receiving end of bad treatment need to redouble our prayers, penances, and forgiveness, while we continue seeking to actualize the enormous promise of the Motu Proprio in our midst. "Seven Years of Summorum Pontificum"
"Taking Summorum Pontificum Out of the Trenches"
"Formed in the Spirit and Power of the Traditional Mass"